As a rule of thumb, movies based on video games are poor in quality, as are video games based on movies. 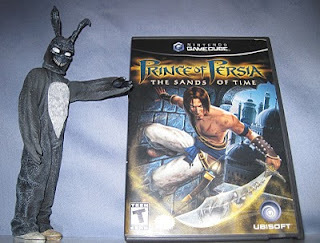 The movie, Prince of Persia: The Sands of Time, may actually be the best movie based on a video game ever made, though we will certainly understand if fans of the Resident Evil franchise wish to file an objection. But 'best' does not always equate to 'good', not that either is necessary for a movie to be enjoyable. Prince of Persia is, at the very least, one of the best video game movies out there, and is certainly enjoyable. It's still not all that good. But this is far from enlightening. What's most intriguing about this film is that, in approaching good, we have finally determined to our satisfaction why it is so difficult for movies derived from video games to cross that threshold. We have heard it said, from time to time, that video game plots lack the substance or the complexity to be developed into good movies. Yet the game this was based on has a far more developed plot than, say, the Pirates of the Caribbean ride that gave birth to that franchise. And those movies - especially the original - are far better than this. The difference between them is that the filmmakers who crafted Curse of the Black Pearl sat down and answered a single question: "What do you mean by 'based on'?" It is the question all adaptations must confront, and it is likewise the question that tripped up Prince of Persia. Is this adapted from the game or merely inspired by? The video game actually has a surprisingly thoughtful story. It's not really a complex story, but it's thoughtful nonetheless. While the game also deserves praise for its design and action sequences, the plot is what ties it together. However, that plot is ultimately limited to three characters: the prince, the princess, and the vizier. While such reductionist stories may function well in game environments, it's difficult to craft an entertaining film from such a skeletal structure. So, when transitioning from game to movie, they abandoned the story entirely, opting instead to base their film on imagery and sequences from the game. And this is where the film floundered. While the sets and fights were certainly amusing, there was a sense in which the movie felt shackled to its source. If you've played the game, than you've seen these environments. You've explored them, in fact, in more depth than the movie has time to. You've used the Dagger of Time and have mastered it. Watching its application in the movie is somewhat akin to seeing a child pick up the controller without learning the controls first. Meanwhile, the back story has been entirely changed to better appeal to a wider audience. The original portrayed the prince as spoiled from birth: the events of the game teach him the meaning of consequences and the significance of responsibility. Rather than deal with such complexity, the filmmakers have re-imagined him as a street thief who was adopted by a wise and benevolent king. The arc we're left with is of a man who begins the movie as a brave and noble warrior and ends as a warrior who's learned to trust his already brave and noble heart. In some ways, this is as much an adaptation of Disney's Aladdin as it is Sands of Time. Ultimately, though, a live-action Aladdin starring Jake Gyllenhaal and Alfred Molina as the genie would probably have been a better film. In addition, the princess from the game had more depth than appeared here. It didn't help that her animosity towards the prince seemed misplaced here, as Gyllenhaal was, as previously mentioned, brave and noble from the start, and was clearly as much a victim of circumstance as she was. 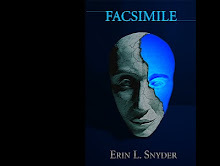 As a result, her continued attempts to ditch or, on one occasion, murder him, come of as foolish, petty, and anti-productive, hardly an appropriate portrayal for the sole female character with a name. In attempting to skirt the line between allowing themselves the freedom of being inspired by the source material and trying to faithfully adapt the game environments and ideas, the movie leaves fans of the game stranded between what we've already seen and what we miss. There's not enough new to intrigue us and too little of what we loved about the game for us to fully enjoy as an adaptation. Compare this with Pirates of the Caribbean, which playfully tipped its hat to its inspiration then moved on to a new story, new settings, and new characters. This isn't to say there's nothing to enjoy. Ironically, we actually did enjoy this film, thanks to the solid acting, amazing sets, and exciting action. We enjoyed it throughout, but, aside from the first big battle and the flashback to the young Dastan, we never loved what we were seeing. Perhaps, if it should manage a sequel, Prince of Persia will be able to find its own footing. Certainly the elements are in place: Jake Gyllenhaal is a fantastic choice for the role. Now that its dues to the game have been paid, we'd love to see an original swashbuckling adventure story in this world. Such prospects seem unlikely, however, as the theater we went to was mostly empty. There's little indication this will make enough to warrant another picture. This movie clearly wants to be Pirates of the Caribbean, so it seems only appropriate to grade on that curve. If Curse of the Black Pearl is a five star film, than Sands of Time is good for two and a half. Ironically, if you've never played the game this is based on, you're likely to enjoy the setting and fights more than we did. This isn't bad for an adventure movie - it manages to retain a quick pace and light tone throughout. But, frankly, with movies like Iron Man 2 in abundance, we have higher expectations. Every year The Middle Room attempts to look towards tomorrow, to predict, with what we hope is near-perfect accuracy, the quality of films yet to come. And, with few exceptions, we typically embarrass ourselves. Last time, we considered the opening films of summer, but now we must gaze further into the haze of the future and June. Half of July will be thrown in for good measure. The quality of this film will likely be directly proportionate to the number of times they play the original theme song during the course of the movie. The trailer offers an uneven impression: we're thrilled to see this level of absurdity, but not impressed with some of the CG effects, particularly connected to the falling tank. Even so, this movie has certainly caught our interest. While we don't have plans to see this, the fact that two remakes from the eighties are opening the same weekend is worth noting. We don't have anything against the trailer to this movie, actually. A remake of the Karate Kid certainly seems unnecessary, but it certainly appears to have been made in the spirit of the original, even if the martial art in question has changed. Divided into its components - into the cellular units the film is constructed of - it is difficult to explain why we are not more excited about this movie. However, the previews offer us little hope that Jonah Hex will deliver an experience equal to its source material. The cause for this discrepancy is fairly straightforward: the filmmakers seem to have approached the character and concept as being comical, when there are few characters who should be treated as seriously as Jonah Hex. That said, the most venomous insult thrown at Jonah Hex appears to be that it may be no better than Wild Wild West, and despite its many flaws, we kind of enjoyed that film. Regardless of our impression, we doubt critics will be forgiving. 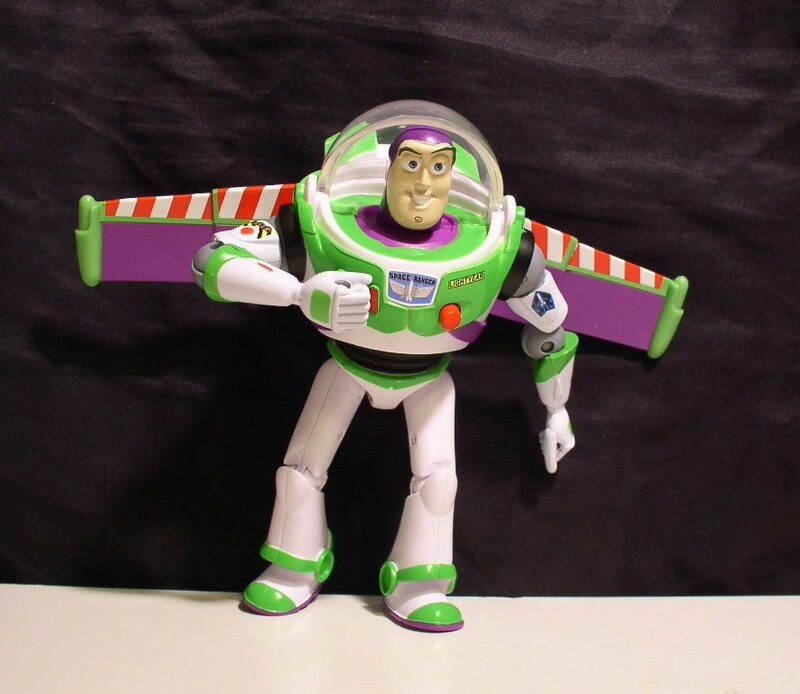 Neither installment from the Toy Story franchise rates highly on our list of favorites from Pixar. That said, the films are still produced by a company whose worst films exceed the best produced by their rivals (yes, even Cars). On top of that, Toy Story 2 was an improvement on the first. These characters are beloved by the filmmakers, and there is every indication that the third may improve on its predecessors. While we often disagree with critics on many issues, we generally find ourselves in agreement when it comes to Pixar. Our estimate may be slightly optimistic, but we doubt we'll be off by more than a percentage point or two. Before we go on, allow us to assure our readers that we will not see Eclipse. Even if it were to garner critical approval and strong word of mouth recommendations, we are less than eager to sit in a theater surrounded by that many teenagers. That said, this is movie about vampires and werewolves (or at least things resembling vampires and werewolves), and and as such is, technically, a film related to geek interests. For this reason, we include it on our list, despite the fact the trailer managed to lower the bar on vampire/werewolf fighting with what may be the dullest looking battle sequence imaginable. It is no coincidence that our estimate falls in the dead center of the scale: the simple fact is, we do not know what to make of this film. Our thoughts on M. Night Shyamalan are in the public record. While we'd like to believe he's capable of once again crafting a worthwhile production, it's been a long time since such faith was rewarded. However, the trailers have some promise. Certainly, it's easy to be underwhelmed by some casting choices, but the effects and stylistic choices cannot help but inspire some optimism. And yet, we recall being intrigued by the trailer for The Village. Our estimate is a shot in the dark; an admission of uncertainty which guarantees we won't miss our mark by more than 50%. We expect our decision to see this will be determined more by word of mouth than by reviews, but we will pay attention. Are we being optimistic? Perhaps. There is, generally speaking, a law of diminishing returns for the quality of sequels to R-rated movie franchises. But every indication we've seen tells us this will be an exception. More than that, we have a feeling, an instinctual sensation in our gut, that this will bury the Alien Vs. Predator films and surpass at least Predator 2 (a solid picture) in quality. With all due respect to the honorable Steve Carell, the trailers for this have been passable at best. While we haven't seen anything offensively bad in connection to this, nothing has struck us as unusually good, either. If our estimate proves low by forty points or more, we may see this. Barring that, we've little interest in another CG movie without the talent of Pixar behind it. When next we gather to discuss this subject, we shall leave no reel unturned. Yes, the third installment shall be the last, and our gaze shall be cast all the way to the end of summer. Many claims have been made about Ridley Scott's Robin Hood. While some are accurate, as many or more are misleading in nature and can lead to confusion about the nature of the film. In the interest of the public well being, we in The Middle Room have decided to dedicate some of our review to rooting out such misconceptions and setting them right. This is, in essence, the educational portion of our review, and we will be quite upset if we don't begin receiving some form of federal funding as a result. It has been said that, in this movie, Ridley Scott is attempting to relaunch Robin Hood in the same vein that Batman Begins or Casino Royale relaunched Batman and Bond. While there's a kernel of truth to this claim, it fails to fully convey the experience of the film. The movie may have been shot as if it were a dark and gritty picture, but the writing - and, in many cases, the acting - are another animal entirely. Imagine, if you will, that the script to the Adam West Batman movie had been picked up by Christopher Nolan, then filmed in the style of The Dark Knight. Christian Bale is still Batman, and he reads every bat-line in the same raspy voice he's known for. The lines about bat-shark repellent and not being able to get rid of a bomb are still there, but they're spoken without humor. Also, the role of the Riddler is played by Frank Gorshin. Switch the Bale to Crow, Gotham to Nottingham, and Riddler to King John, and you've pretty much described this movie in a nutshell. The only exception is the plot: the story in the Adam West Batman movie made more sense. Far more sense, in fact. More on this in a moment. It has also been said that this was intended as a more historically accurate version of Robin Hood. This is blatantly false on more counts than we can easily count. There may be accurate props, the costumes may be somewhat more believable, and the setting may be more truthful, but overall this no more historically believable than Robin Hood: Prince of Thieves. Or, for that matter, Men in Tights. If we're mistaken, than our high school world history teachers have some explaining to do. This is, frankly, not a good movie. That said, it's not an altogether unenjoyable movie, provided you are willing to dispense with notions like continuity and logic. Characters have a tendency of instantly traveling great distances between scenes. The plot folds over on itself; there is little causal connection between one event and the next, nor is there much in the way of consequences. Meanwhile, characters will occasionally know things in one scene they did not the moment before with no explanation. This is a movie permeated by images and ideas that feel eerily familiar. Moments echo from other movies you've seen. Sure, there's the obvious tipping of the hat to other Robin Hood films and the expected borrowing from Lord of the Rings and Braveheart, but then Darth Maul shows up and betrays England. And let's not forget the tribe of Lost Boys living in Sherwood. Or the scene from Saving Private Ryan. And none of this comes close to the bizarre echo of Queen Elizabeth: The Golden Age that occurs in the final battle sequence. Also, we finally learn where the Joker got his scars. It's easy to have fun watching this, though much of that fun comes at the movie's expense. It's entertaining, for example, to see Alan Doyle from Great Big Sea playing Allan A'Dayle, but he's still singing modern interpretations of folk music. And Oliver Isaac's Prince John is more or less identical to that of the talking lion in Disney's interpretation. Seriously. Watch the first minute or two of this.... then watch this. IT'S THE SAME SCENE. Our reaction upon walking out of the theater was to ask, "What the hell was that?" We've yet to work out an answer. Was this supposed to be campy? If so, then why film it like it's a historic epic? It's almost as if Ridley Scott either couldn't decide or didn't care what he was making. 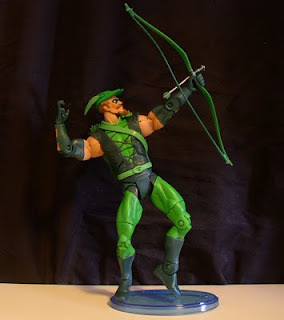 Is this an update of the Robin Hood of the 1930's? If so, why tell a prequel? Fortunately, for all its faults, there was plenty of beautiful imagery and solid action to keep us diverted. On the Chronicles of Riddick scale, we'll award this two and a half stars out of five. 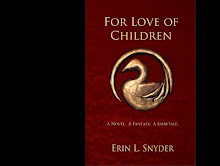 This was amusing, but, as a ridiculous, medieval prequel adventure with the pretense of serious realism, it falls short of Underworld: Rise of the Lycans. Still, if you enjoy sword fights and the English countryside - as we do - it may be worth a viewing. Even so, it's hard to endorse this when you could just go see Iron Man 2 again. The response from critics towards Iron Man 2 has proven less enthusiastic than we predicted. Fortunately, this discrepancy reveals far more about the critics than the movie itself. A quick glance at Rotten Tomatoes, where Iron Man 2 has earned a respectable, albeit underrated, 74%, offers some context for those who did not enjoy the movie. The primary complaint seems to revolve around plot, which many critics - including several who enjoyed the film overall - maintained was light. It may surprise you to hear that we agree with this assessment. Where we disagree is in whether this is actually a flaw. Iron Man 2 is not, strictly speaking, much of a movie in its own right. It doesn't portray the epic struggle between a hero and his nemesis. Sure, there's a supervillain, but he's little more than a minor inconvenience. Tony Stark has always been his own worst enemy, and the movie allows him to serve as both protagonist and adversary. The events portrayed feel less like a plot than a series of disconnected incidents. The film doesn't even focus its point of view on Stark, but rather widens to explore those around him. In essence, they've made a film about the Marvel Universe's relationship with Tony Stark. We've heard Iron Man 2 described as a bridge to future Marvel films, and again, there's some truth to this. Only the term carries associations with duller stories, and we find it hard to imagine seeing this as anything less than fascinating. No, "bridge" is not the word we use. To us, Iron Man 2 felt like a feature length trailer for what's coming. Rather than trying to tell a single story, the filmmakers used Iron Man 2 as an opportunity to explore their universe, pulling in more and more characters and artifacts from their source material. They've offered a vignette of sequences and character arcs exploring the rich universe these films portray. In comic terms, they've given us the issues between major story lines, the books offering context and development. From a production standpoint, nothing occurs in Iron Man 2 that couldn't have been skipped: they could simply have made the movie after this one and made veiled references to technological improvements, character growth, and relationships, and we'd have taken it at face value. That would have been the easy solution. But they've done something less expected and more courageous. They've devoted a film to the depth of the Marvel Universe. And they certainly retained everything that made the first movie successful: Tony Stark's eccentric personality, the sense of adventurous fun, the comedy, and the awesome action scenes. The issue is that movie reviewers are trying to compare Iron Man 2 with Superman 2. But this isn't the issue where Zod conquers Earth: instead, it's akin to stories about Clark trying to balance his job and friendships while dealing with threats from Toyman and Metallo. Iron Man introduced the shared Marvel Universe to theatrical audiences. Its sequel allows that Universe to take a starring role. Meanwhile, Robert Downey Jr. deserves an Oscar for his supporting role. When we reviewed the first movie, we held it against the best modern superhero movies. Against the same competition, we give Iron Man 2 the same grade: 4 stars out of five. This is a worthy successor in this series, and, more importantly, a fantastic harbinger of what's coming. No day in the Geekorian calendar is as holy as the first Saturday in May. 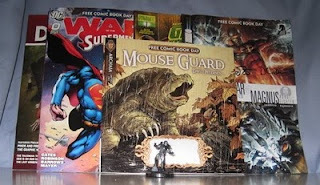 It is known by many names: Geek Christmas, Geek Independence Day, and, of course, colloquially as Free Comic Book Day. It is a day when anyone of any age can walk into nearly any comic book store in the country and receive one or more free comic books. To the cynic, Free Comic Book Day is about nothing more than this: to them, it is a day about comics. But this is a flawed description. Certainly, comic books represent an important aspect to the traditional celebration of Free Comic Book Day, but there is certainly more to the day than mere comic books. Indeed, we in The Middle Room maintain that were The Leader to steal every issue set to be delivered, Free Comic Book Day would come all the same. "How?" you may ask. Because there is a spirit to the day which cannot be stolen or dismissed. It is the spirit of Getting. Yes, when you strip away the mass-produced covers and the dozens upon dozens of pages of ads, you find this kernel at the core of every book. If you look behind the grin of every young child clutching their first free bag of comics, you can see that glint in their eye: this didn't cost them a penny. The store owners, priestly stewards of the holiday, perceive Free Comic Book Day at a different level: those books cost them money. But still, the spirit endures, because they are getting new customers. As are the publishers, who sell the comics at a loss in the hopes of getting new readers who will come back to hand over real money next time for the follow up issue chronicling the coming War of the Supermen. In some ways, we consider Free Comic Book Day the most quintessentially American of all holidays. Sure, Christmas and Valentines Day have been blatantly distorted into a crass exploitation of commercialism, but the effects of these last for only a single day. Those behind Free Comic Book Day hope to manipulate readers - particularly new readers, children - for an entire year. Or, if you're like us and are willing to stop by a few stores in New York City, you could well find yourself with a year's worth of free reading material free of charge. In one day, two agents sent from The Middle Room were able to procure 80 comics (39 unique books, 41 duplicates; one of which was signed by Jim Shooter and Dennis Calero), two buttons, one poster, and a War Machine Heroclix figure which will look great beside the Iron Man Heroclix figure we got a few years back. So, in conclusion, we say to all of you in The Middle Room and beyond, happy Free Comic Book Day, and may Thor bless America.